On March 6th, 2014 President Kaler will be giving his administration’s State of the University address in Coffman. 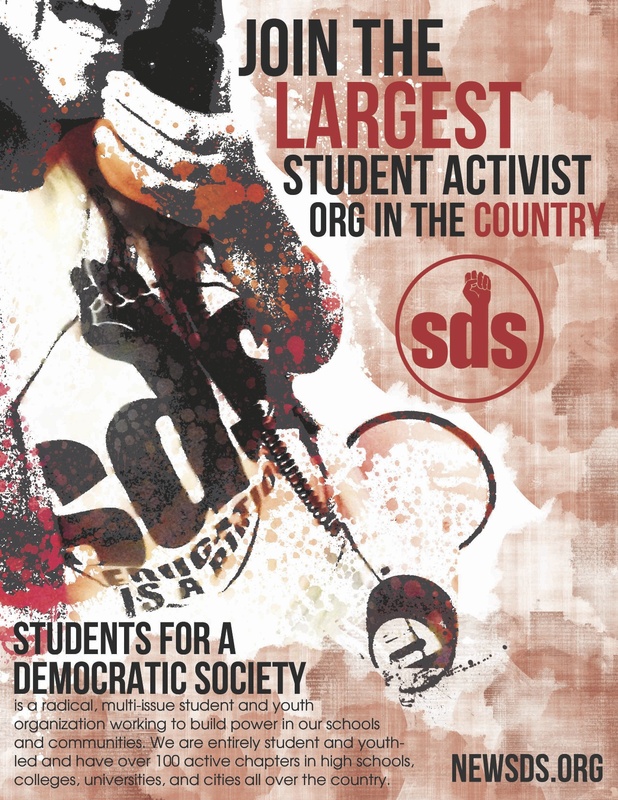 After Kaler’s address, SDS and others are hosting an event meant to highlight a different narrative to the one he will likely be describing: a Student, Staff and Faculty perspective on the state of the University.While we see tuition at an all-time high, we also see top-adminstrators’ CEO-like salaries at an all-time high. While front-line staff and faculty either get cut or are not offered long-term employment, class sizes or increasing and student services are decreasing. While we hear Kaler talk about wanting to increase diversity, we have seen no real efforts going towards getting higher representation of MN black and brown youth at our University. We want to pose the question and have a dialogue about whose state of the University is Kaler going to speak about? We have our own stories that are worth hearing. Please join SDS and other groups to engage in a report-back on the real issues that are affecting our campus community and hear your ideas for what needs to be done! We are writing to you on behalf of Students for a Democratic Society because a disturbing incident has come to our attention. Disgusted by this blatant class profiling, the member of our group followed up with those he thought could provide answers: a librarian and Lieutenant David Wilske, the Commander of the Patrol Division. The librarian explained the library’s open door policy, confirming the man’s right to be present. With very little effort, in fact, one can find the Library Use Policy on their website. This policy asserts, “The University of Minnesota is a public land grant institution, and our collections are accessible to the citizens of the state of Minnesota, the nation, and the world.” Upon speaking with Lt. Wilske, however, our group member discovered UMPD’s derision of the policy. Passing responsibility, Lt. Wilske explained the tremendous pressure from university administrators to “take extraordinary security measures.” Amid the slew of crime alerts disseminated to students and staff on a weekly (sometimes daily) basis, who can blame the Lieutenant for feeling pressured? Although the number of crime alerts has increased seemingly exponentially, it is the UMPD’s own crime statistics that show an actual decrease of on-campus crimes (down 43% since 2002!). The City of Minneapolis’ crime statistics show the same trend for the neighborhoods surrounding the university. This is our question to you, those who are responsible for this incident (whether directly or indirectly): Is this what your “secure campus” looks like? If it is, if police harassment and a further insulation of campus are qualities of your security, we would rather be insecure. We attend a public land grant university, one that is funded in large part by public dollars. We believe these publicly-funded facilities should be open to all members of the community. The UMN libraries are public space. As law enforcement officers, Officers Fonseca and Bauer know that there is nothing in university policy or state statute that supports the eviction of any person from public space if they are creating no disturbance. They did just that, though. They removed a member of the public from a public space, one that he had every right to be in. As those who hold the responsibility for securing our campus, we call on you to put an end to this type “security” measures. We call on you to reevaluate your assumption that a “secure campus” is one that is closed off from the community that it inhabits. We call on you to take responsibility for these officers’ actions. We expect that, upon hearing of this incident, you will reevaluate the assumption that you have long held that a greater police presence equals more safety. We call on you to end the policy of preventing public use of public space. We would like to set up a time to meet with you to discuss this incident and ways to prevent future episodes. Thank you for your time. We look forward to hearing from you soon.